CREATION is no accident! It did not come about with a HUGE, BIG BANG! Like a ‘Kaboom!’ with the wave of the wand of a magician. Our Omnipotent God ‘planned’ Creation. He is Almighty God of Order, as in the Genesis account of Creation. He saw that at the end of each day of His Creation ‘it was good‘. The heavenly bodies all move in their own unique order within the vast Universe which God maintains with absolute mathematical precision. The moons and planets, stars and planets orbit each other without colliding, each with their own rate of rotation and revolution. 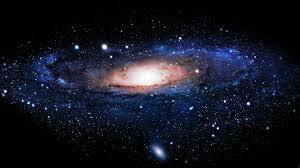 Also, there are over 100 billion galaxies, and Earth exists in one of them which is called the Milky Way. According to astronomers, it is an ‘average size’ galaxy 120,000 light years across and contains 400 billion stars of various sizes and brightness. While 8 major planets are known and studied in our galaxy, it is estimated to be as many as 2 billion planets in the our solar system. Earth is the largest of 4 terrestrials with Mercury, Venus, and Mars all which can be seen with the naked eye. The other 4 are the gas giants Jupiter, Saturn, Uranus and Neptune. Jupiter, the largest planet, can be seen shining brightly in the night sky. Ecclesiastes 3:11 says, “He hath made every thing beautiful in his time:”. . .
Who laid the foundations of the earth, that it should not be removed forever. Thou coveredst it with the deep as with a garment: the waters stood above the mountains. At thy rebuke they fled; at the voice of thy thunder they hasted away. They go up by the mountains; they go down by the valleys unto the place which thou hast founded for them. Thou hast set a bound that they may not pass over; that they turn not again to cover the earth. He sendeth the springs into the valleys, which run among the hills. They give drink to every beast of the field: the wild asses quench their thirst. By them shall the fowls of the heaven have their habitation, which sing among the branches. He appointed the moon for seasons: the sun knoweth his going down. Thou makest darkness, and it is night: wherein all the beasts of the forest do creep forth. The young lions roar after their prey, and seek their meat from God. The sun ariseth, they gather themselves together, and lay them down in their dens. Man goeth forth unto his work and to his labour until the evening. O Lord, how manifold are thy works! in wisdom hast thou made them all: the earth is full of thy riches. So is this great and wide sea, wherein are things creeping innumerable, both small and great beasts. There go the ships: there is that leviathan, whom thou hast made to play therein. These wait all upon thee; that thou mayest give them their meat in due season. The glory of the Lord shall endure for ever: the Lord shall rejoice in his works. He looketh on the earth, and it trembleth: he toucheth the hills, and they smoke. I will sing unto the Lord as long as I live: I will sing praise to my God while I have my being. My meditation of him shall be sweet: I will be glad in the Lord. Let the sinners be consumed out of the earth, and let the wicked be no more. Bless thou the Lord, O my soul. Praise ye the Lord.